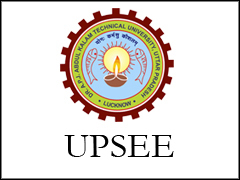 UPSEE is a State level Engineering Exam which is referred as Uttar Pradesh State Entrance Examination which is organized by is Uttar Pradesh Technical University (UPTU). About: Uttar Pradesh Technical University (UPTU) was been setup by the Uttar Pradesh (UP) Government. UPTU is also known to be as AKTU (Dr A.P.J Abdul Kalam Technical University).AKTU has been sub-divided into 5 zones with 150-160 institutes in each zone. Entrance exam for engineering institutions for degree level and other professional institutes has been assigned to Dr. A P J Abdul Kalam Technical University (AKTU) UP, Lucknow by Govt. of Uttar Pradesh to coordinate, supervise and control the State level Entrance Examination herein after referred as UPSEE. Programs: UPSEE is the gateway for the admissions to various programs such as Undergraduate programs such as B.Tech, B.Pharm, BHMCT and also postgraduate programs such as MBA, MCA. Examination: UPSEE is scheduled on 29th April, 5th May and 6th May. Application form will be released on the 2nd week of January. Candidates Enrolled: Approx. 4Lakh students are pursuing their career in colleges/institutions which are affiliated with AKTU. Authority: CAB (Central Admission Board) has complete authority of organizing examination and to decide about the protocols of admissions and seats allotment. The candidates who are willing to appear in exam, it is important for them to fulfill the eligibility criteria which is been put up by the AKTU University in order to fill the UPSEE Application form. As per the latest update, Exam will be scheduled on 29th April, 5th May and 6th May for the purpose of avoidance clash with JEE Main Exam Dates. Application form will begin from the 2nd week of January. Aspirants should have studied intermediate of UP board or 10+2 or equivalent. Compulsory subjects: Mathematics and Physics as Compulsory subjects. Optional Subjects: Chemistry/ Biology/ Bio-Technology/Technical Vocational subject. One must have got at least 45% marks (for SC/ST cadre candidates, it is 40%) of their qualifying exam. Candidates who are willing to take B.Tech Biotechnology must have studied Maths/Biology and Physics as mandatory subjects. There is no Age limit exam. Aspirants of all age can apply for any program furnished by examination. The applicant must be a Permanent citizen of UP (Uttar Pradesh) or the aspirants from other states are also eligible for registering to examination. The Application Form will be provided through online mode only. The application form will be available from the last week of February (tentative). There is no need to send the hard copy/ photocopy of any documents. Before filling the application form, candidates prepare the scanned images of the photograph, signature & left hand thumb impression. Mode of Payment: The application fee can be paid either through Credit/Debit Card or Net Banking or through Challan Form in any branch of PNB. UPTU Entrance Exam will be organized for 12 papers. The exam will be multiple choice questions except Drawing Aptitude Test (Part B of paper 4). The medium of the exam will be Hindi & English both. For each correct response 4 marks will be awarded. There is no process of negative marking. Paper 1, Paper 2, Paper 3 and Paper 4 will be OMR based Test only. Paper 5, Paper 6, Paper 7, Paper 8, Paper 9, Paper 10, Paper 11 and Paper 12 will be a Computer Based Test (CBT) only. Candidates can download their admit card from the official website of the University. Admit card will be announced on the second week of April (tentative). There is no procedure to send admit card by pos. Result will be declared along with the answer key on the official site. The result will be posted in the last week of May (tentative). On the basis of the candidate performance in the entrance exam, a separate merit list will be prepared for each course. After the result declaration, candidates can get their answer sheets scrutinized on the submission of Rs. 5000 per paper within seven days. A few days after the result announcement, the counselling process will be started. Only successful candidates will be required to participate in the counselling procedure. The information of the Counselling schedule will be published in the official website. The allotment of the seats through counselling will be strictly based on the merit list & availability of the seats. Once the seats will be allotted to the candidates, no changes will be allowed. Can I know number of seats available for candidates who belong outside UP? 10% seats of private colleges are reserved for non-UP domicile applicants as per State Government. I have cleared my 12th examination outside UP but I am a resident of UP. Am I eligible? Yes, the candidate who belongs to UP can apply for . But at the Time of verification, one must need to produce domicile certificate of their parents, then only they can avail the advantage of domicile applicant . In the Eligibility criteria, I want to know the percentage criteria required for PCM subjects? One must have qualified their 12th standard (10+2) or its equivalent exam from a recognized board. Mandatory subjects: Maths and Physics with one of the subject Biology/chemistry/Biotechnology/Technical subjects. Percentage criteria: 45% marks aggregate (for SC/ST cadre, it is 40% marks). In Eligibility criteria, there will be no upper age limit. Final year appearing candidates can appear for the exam. Is Aadhaar Card is compulsory while filling the Application form? What if I commit mistakes while filling application form? Yes, it is compulsory that the candidates must possess Aadhaar card number while filling up the Application form. So make sure the candidate has Aadhaar card. There will be chance of Application form correction if the candidate has committed any mistakes while filling the form. There is a chance of correcting the Application form. Wanted to know the Preparation tips? The candidates must be well aware about the syllabus which will be helpful for the exam. The candidate must prefer the proper study material for the preparation. The candidates must go through the previous question papers. Another important thing is Time Management. The candidates need to have proper sleep and they need to be calm and cool. Will there will be Application Form Correction? Yes, there will be a chance of Application Form Correction. The candidates need to visit the official website for the Application Form Correction. They need to login by inputting the necessary details like application number and password. Then they can make the required correction Application form. The facility for Application Form Correction will be made available only once. I want to know the Exam pattern details for Btech program? Paper-1 is mainly for Btech program. The candidates who are preparing for Btech program, they need to prepare for Paper-1. Exam will be organized in offline mode via OMR Based Pattern. In Exam pattern, the total questions asked are 150. A correct answer carries 4 marks.